We all know how important exercise really is for our health. If we don’t exercise, then we fail to give our bodies the chance to become stronger and more powerful than ever before. And we would all like to be stronger and more powerful. That being said, we hope that each and every single one of you reading this article will begin exercising as soon as possible. And one of the most powerful ways in which you can work out is by training Muay Thai. 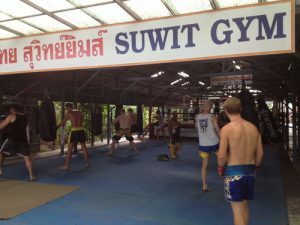 It should be on your list of priorities to find a Muay Thai training camp. Muay Thai is a sport and a martial art – but it’s also much more than just that. What Muay Thai can give to you is immeasurable. First of all, you will get to improve your character in many different ways. The reasoning behind this is that you will get to learn discipline, courage, and persistence, among other things. All of these are signals and elements of a strong character that is willing and able to face the challenges of life. But of course, you will also be improving your health at the same time. You will get to sweat and release toxins out of your body. You will work your muscles out and they will get stronger. You will also drop down on your levels of fat. And all of these things combined will help you attain a better health. Arguably the most important part about learning Muay Thai is that you will get to work on your martial arts skills. In short – you will learn how to fight. In some cases, this may end up even saving your life. At the very least you will develop a toughness of body and spirit that simply cannot be attained in any other way. You may have to face some of your fears for this – and this is an excellent opportunity to do so. So, by all means, go ahead and find a Muay Thai training camp that you would like to visit. We know that you will be fascinated by Muay Thai and that you will love training it.